Click on a coupon to print or print all. 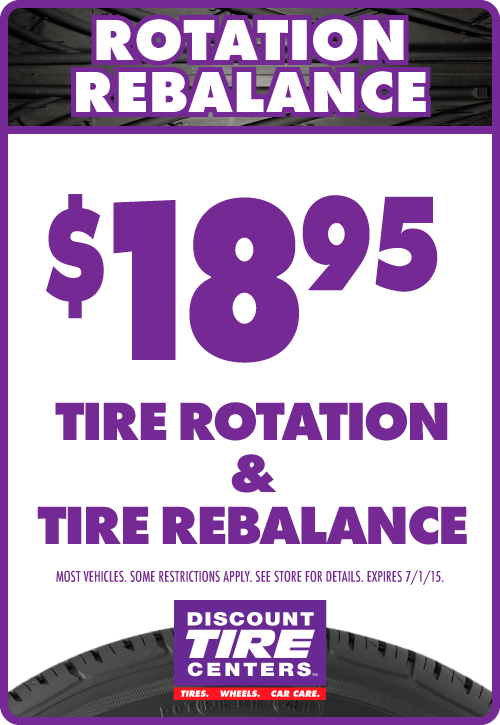 Discount Tire Centers recommends you rotate and re-balance your tires regularly. 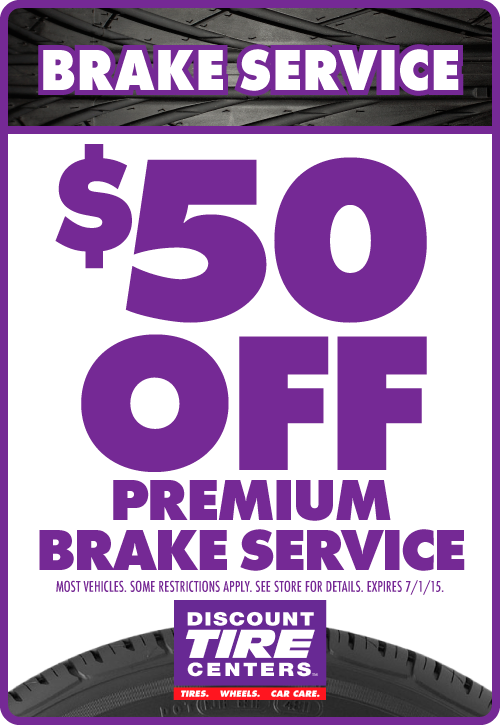 take advantage of this special to save you money today! Truck / SUV tires from $79.95 (P235/75R15) Discount Tire Centers has the Lowest Prices Guaranteed! Coupon expires 12/31/14. Performance tires from $49.95 (185/65R14) Discount Tire Centers has the Lowest Prices Guaranteed! Coupon expires 12/31/14. 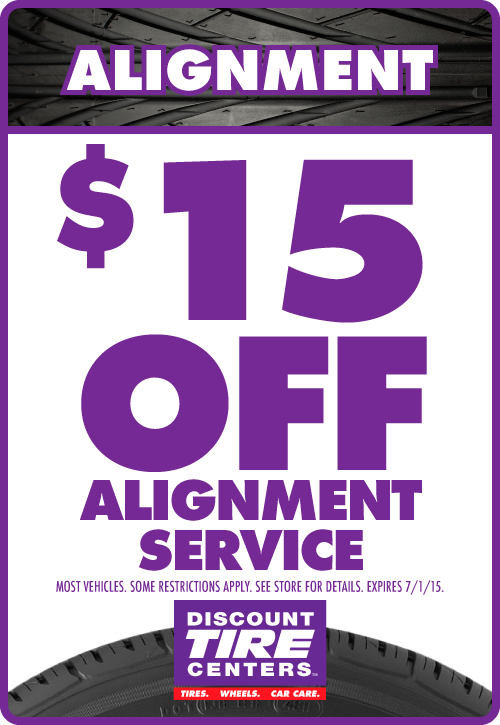 Discount Tire Centers recommends that you rotate your tires every 5,000 miles. 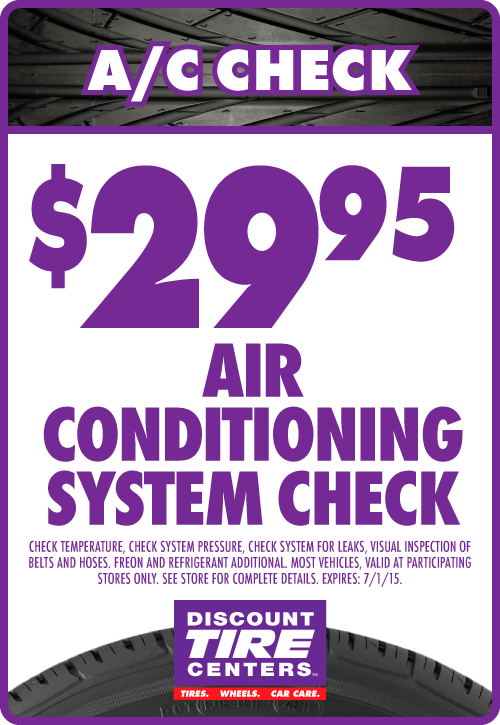 Stop in and take advantage of this great daeal. Summer is on its way. 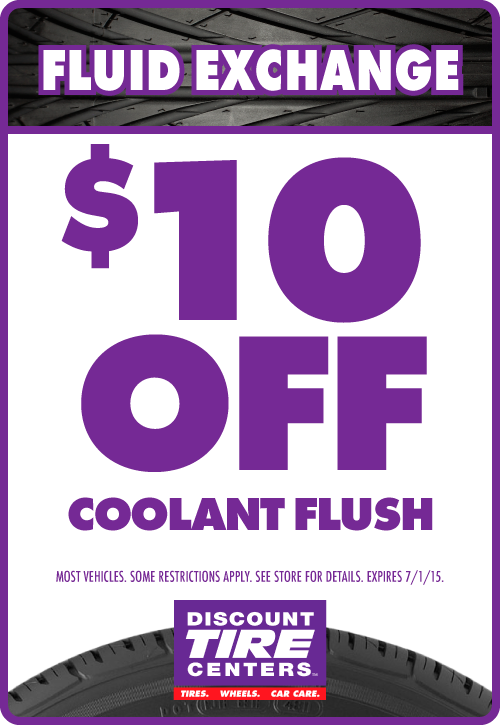 Get ready with a coolant fluid exchange.